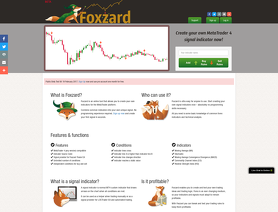 Foxzard is an online tool that allows you to create your own indicators for the MetaTrader platform. Combine common indicators into your own unique signal. No programming experience required. You can download and trade signal indicators automatically with Foxzard EA.